Jérôme Fournier has completed his youth basketball assessment for this year and has finalised his 12 players for the U19 FIBA World Championship for Women, to be played in Chile. A total of 26 players were called up for selection this season. Fournier started his review in April with a four-day camp with a group of 12 players. Two players were released from the U19 action but included in the U20 training group while two other players were released from national duty for this year. The second training camp started on 3 June and finished on 16 June. This camp included two games against China. The last chance for players to gain their spot came in the traditional four-nation international youth basketball tournament in Fougères. 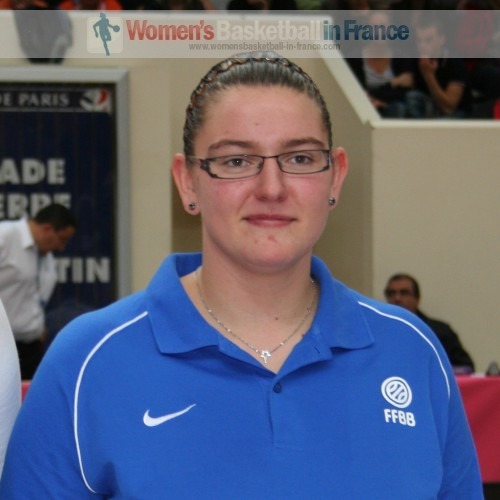 The FIBA U19 World Championship for Women draw put France in Group C with Australia, Chile and Nigeria. Two players: Marième Badiane and Lidija Turcinovic are named as reserves and will continue to train with the group. Adja Konteh carried France early on with 7 points as they led China (11-10) with a minute to play during the first quarter. France went into the second quarter ahead (15-12) and with 8 more points from Konteh headed into the locker room in front (30-26). China played with more confidence during the second half of the game and regained the advantage going into the final quarter (40-38). The last quarter was tense and close. But with 90 seconds to play China led by 4 points after Weinaa Jin split a pair. China survived a buzzer-beater attempt to win the game (54-53). China's youth basketball international players beat France for the second night in a row, this time (66-60). China led from start to finish with Xi Yang scoring 13 points. Weina Jin and Liting Zhang also finished in double digits with 10 points. France made five changes from the defeat in game one. However nothing changed as they shot the ball badly during the first ten minutes allowing China to open up a lead (16-9). Adja Konteh only played 20 minutes but still managed to score 15 points. 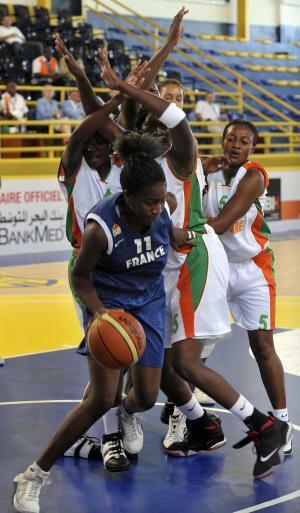 Valériane Ayayi was the only other player to reach double digits with 11 points. This year the tournament in Fougères was a U19 world preparation tournament. Nigeria arrived with only six players and ended up losing every game. The only victory for France came against Nigeria. They lost once again to China. Brazil ran away with the tournament with Damiris Amaral named MVP. Eléonore Grossemy (right) from France was a member of the all-tournament team that included Kalu Ezinne from Nigeria, Liting Zhang from China. Tassua Carcavalli and MVP Damiris Amaral from Brazil made up the five players.